For years, the headlines regarding midsize firms have been grim. As a group, they've been hit hardest by cash crunches. They're being gobbled up in the industry's merger mania. They've seen high turnover. Some industry experts have even gone so far as to predict their demise. • Is The Grass Greener On The Solo Side? But new research from Law360 shows that when it comes to job satisfaction and overall well-being, lawyers at midsize firms come out ahead. Our anonymous online survey, which drew more than 1,350 responses, shows these lawyers are consistently more satisfied than their counterparts at larger or smaller firms. They're least likely to look for another job, most satisfied with their opportunities for advancement, and least likely to say they feel stressed all of the time, according to our 2018 Satisfaction Survey, which collected responses from readers over a six-week period this spring. Compared with their peers, more respondents from midsize firms — defined here as firms with between 100 to 500 attorneys — say they feel they can accomplish all their tasks in a given day, and they're least likely to work more than 60 hours a week or to have delayed a life event because of work. When asked whether they have good work-life balance, most say yes. "As a daily experience, the role here is much more satisfying and engaging," Edward Cohen, a Pryor Cashman LLP associate who left a larger BigLaw firm in search of more hands-on experiences, said in an interview. Being a lawyer is no easy profession, no matter where you work. More than 60 percent of private practice attorneys report feeling stressed either most or all of the time, as do 44 percent of in-house counsel and 38 percent of government lawyers. But for those who've forgone the largest firms for smaller pastures, the benefits are clear. Direct contact with clients. Fewer late-night emails or weekends in the office. Greater leeway to negotiate rates. And, perhaps most significantly, more opportunities to do important work early on. "Here, a lot of our clients don't mind if they're talking to the third-year associate," Cohen said. The benefit for younger attorneys is especially pronounced, given the tendency of the millennial generation to prioritize work-life balance over the promise of bigger and better salaries. As those lawyers become parents, many are finding they need that flexibility. Perhaps unsurprisingly, our survey found that associates are most likely to be on the lookout for another job. Indeed, many of the best and brightest join the biggest of BigLaw right out of law school to pay down an otherwise crippling debt. But the question is increasingly becoming: Will they stay? The survey data and interviews with lawyers at various stages of their career shows that when it comes to securing talent, midsize firms are playing the long game. Is it possible that the law firm tier arguably most under siege by market competition could be the best place to succeed? There's no question the biggest firms usually win out when it comes to salary. Survey respondents who hail from large firms, defined as more than 500 attorneys, are more likely than attorneys at midsize or small firms to consider their financial situation "excellent" and to be "very satisfied" with their compensation. This year alone has seen a number of BigLaw firms follow Milbank Tweed Hadley & McCloy LLP in raising their first-year associate pay to $190,000. Midsize firms, meanwhile, are more likely to pay first-year associates less than $180,000, with firms on the smaller side of 101 to 250 attorneys usually paying closer to $135,000 or less, according to data from the National Association for Law Placement. Several midsize firm partners told Law360 that their firms are weighing how to stay competitive on the associate wage front. "There is a widening salary gap," said Eric Seeger, a principal with legal industry consultant Altman Weil. 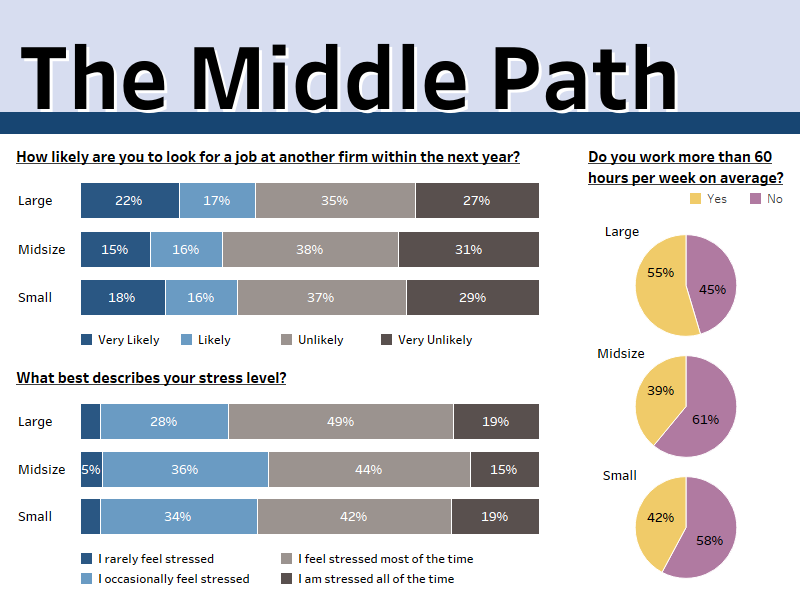 Attorneys from midsize firms are slightly more likely than their larger firm counterparts to report being stressed about their financial situation. Still, 61 percent of midsize firm attorneys say they're satisfied with their pay. 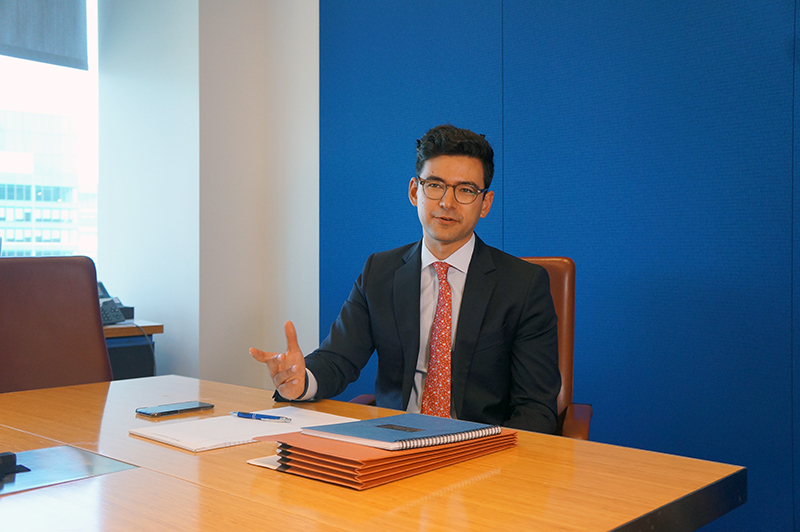 "The way I look at it, the salary is just a single component of many that should be considered when you're talking about your career," said Vincent Barbera, a Philadelphia-based associate with White and Williams LLP who is in his ninth year with the firm. Often, the bigger consideration is what they actually get to do when they go to work. Elisha Barron was a clerk for the Southern District of New York when she saw a junior associate from Susman Godfrey LLP arguing a major motion in a case worth hundreds of millions of dollars. She was so impressed that the firm was willing to entrust a young attorney with that kind of responsibility that she interviewed there once her clerkship ended. Now, she's the one working on cases with millions at stake. In March, a jury returned a verdict of more than $700 million for her client, and she's currently on the team working to preserve the judgment. "As an associate, you're really doing the work," said Barron, who is based in New York. At Pryor Cashman, which has seen an influx of ex-BigLaw attorneys, one associate worked on more matters there in four and a half months than in four and a half years at the attorney's prior firm, managing partner Ronald Shechtman said. 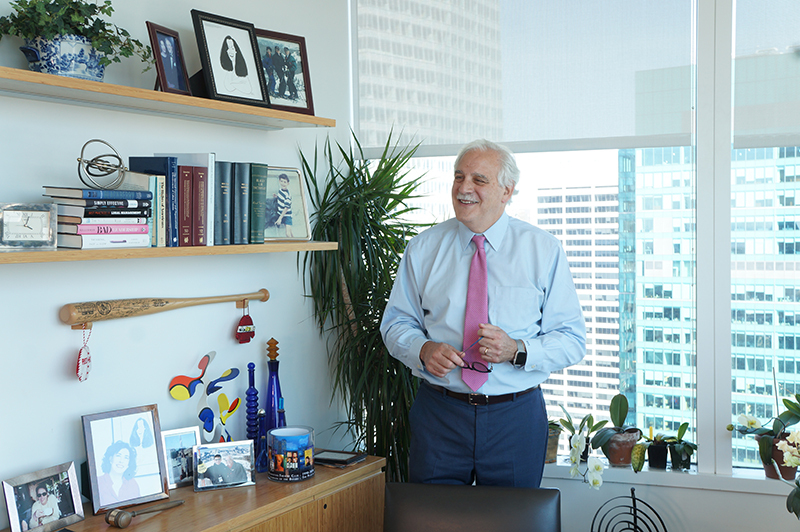 "We have never seen such an interest from top-level, top-credentialed associates with a desire to get out of BigLaw and pursue other alternatives," Shechtman said. "We're seeing it in virtually every department." As the oldest millennials — those born in the early 1980s — close in on their 40th birthday, Shechtman has noticed a generational tendency toward pursuing work they find rewarding. "We're seeing associates give that a primacy over compensation and maybe even status," he said. Not that associates don't want to climb the ladder. In fact, some say the path to partnership is more attainable at midsize firms because of the fact they offer bigger opportunities to attorneys at earlier stages of their career. Sixty-seven percent of survey respondents from midsize firms say they're either "satisfied" or "very satisfied" when it comes to opportunities for advancement at their firms, compared with 59 percent of attorneys at large firms and 62 percent of small firm attorneys. "We have always had a pretty short partnership track relative to some other places," said Kalpana Srinivasan, a Los Angeles-based Susman Godfrey partner who joined the firm straight from a clerkship. Once established in the partnership, attorneys at midsize firms are often better positioned than their large-firm counterparts to succeed in part because they're given more leeway to offer clients flexible rate structures, which for many attorneys can be crucial. 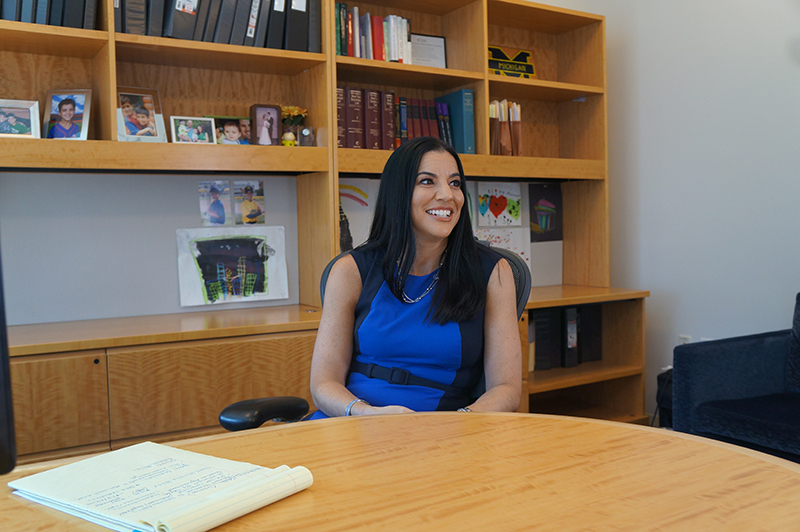 "At the partner level, I think it really gives you the ability to grow your own practice in a way that's not necessarily open in a larger firm," said Erica Kerstein, a New York partner at White and Williams. Kerstein's office in midtown Manhattan is just a few floors away from her former law firm, O'Melveny & Myers LLP. In fact, White and Williams subleases the space from her former employer. The color scheme and furniture are the same, as are the views of Times Square. But in many ways, they're worlds apart. While she appreciates the experiences O'Melveny gave her, Kerstein acknowledges she has risen up faster at White and Williams than would likely be possible at any larger firm — after about three years, she is already on its executive committee. Not that the transition was entirely smooth. "It was kind of shocking not to have a 24-hour text editing or duplicating services," Kerstein said. Of course, smaller firms also enjoy flexibility when it comes to offering clients competitive rates and can offer big opportunities to talented young lawyers looking to get their feet wet. In fact, many attorneys who left careers at larger firms for the other end of the spectrum say they wouldn't have it any other way. While midsize firm respondents were more likely than small firm survey takers to say they were either "satisfied" or "very satisfied" with their opportunities for advancement at their firm, small firm attorneys still had the most people in the "very satisfied" category. But often working for a smaller firm or boutique means being confined to a niche practice area or one type of client, said recruiter Jamy Sullivan of Robert Half Legal. Particularly for younger attorneys who want to get a variety of experience under their belt, boutiques can seem confining. When it comes to resources, midsize firms also offer an edge over smaller firms, attorneys say. For Cohen, a corporate attorney who previously worked at Paul Weiss Rifkind Wharton & Garrison LLP, Pryor Cashman's full-service capabilities attract clients and deals that smaller firms wouldn't necessarily be able to handle. "You get all the advantages of being a New York lawyer — cross-border work, international issues," Cohen said. "You don't tend to have big M&A deals in a local practice." And, of course, there's the pay. Attorneys at smaller firms are most likely to feel stressed by their financial situation and to have delayed a life event for financial reasons, and more than 40 percent say they're either "dissatisfied" or "very dissatisfied" with their compensation. They're less likely than attorneys at midsize firms to feel as though they can complete all their tasks in a given day, and they often put in more hours. About 42 percent of small firm attorneys say they work more than 60 hours a week, compared with about 39 percent of those at midsize firms. Less time at the office means more time for family and interests outside work, another area where midsize firms excel in the survey. In addition to being the least likely to work more than 60 hours a week, attorneys at midsize firms were least likely to delay a life event because of prioritizing their professional lives. When Kevin O'Flaherty arrived at Goulston & Storrs PC in the 1990s, he was 39, on the older side of law school graduates, having gotten his law degree after being a teacher. He had a wife, a baby and a mortgage on a house in the Boston area. "I was looking for a place I wanted to stay for a long time," O'Flaherty said. In those early days as a new associate, it was not unusual for him to work until 10 or 11 at night, alongside some of the firm's partners. He found his colleagues not only understanding but also supportive of one another's commitments outside of the office. If someone had to leave early and work odd hours to handle a childcare issue or if someone was going on vacation, the attorneys covered for one another. "People really do pitch in," O'Flaherty said. "We're loyal to each other, and that's not some abstraction. If someone needs a hand, you give it to them." O'Flaherty has climbed the ladder to director, while still keeping up with his four kids' lives and being present for special events. Similarly, at Morrison Cohen LLP, partners are expected to roll up their sleeves and put in the hours, especially if it's crunch time for a deal or litigation. But generally, there's also an understanding that if they have their work otherwise covered, it's not a problem to leave at 5 p.m. to go see a kid's game or dance recital, New York partner Steve Cooperman said. "I have two boys. I feel like I've seen them grow up," Cooperman said. "I've seen their basketball games and their baseball games." While midsize firms may increasingly seem like the sweet spot for many a stressed-out attorney, the future isn't guaranteed. The last few years have seen a string of acquisitions by larger rivals, such as when then-1,200 attorney Squire Sanders LLP took over the 280-attorney Patton Boggs LLP in 2014, or when mega-verein Dentons snapped up 313-attorney McKenna Long & Aldridge LLP the following year. So far this year, four law firm combinations have involved either midsize firms being acquired by larger firms or merging together to scale up to compete with the bigger firms, according to Altman Weil. Merger mania has led many experts to depict midsize firms as sitting firmly between a rock and a hard place: the rock being the larger firms with more resources and deeper pockets; the hard place, the nimbler boutiques. But the picture is nuanced. Altman Weil, which regularly surveys firm leaders, has found that while larger firms have been able to squeeze more profitability from flat-to-moderate demand, the top midsize firms have generally seen strong growth as well. "Midsize firms are more likely to say that demand had returned to what it was pre-recession and have been more optimistic about growth in demand," said Altman Weil's Seeger. In an era of extreme purse-tightening, a flexible rate can make all the difference. Recently, Shechtman hired a partner whose clients unexpectedly followed him from a larger rival because Pryor Cashman's rates were better. At Morrison Cohen, the difference in rates with their larger rivals is about 30 percent, according to David Scherl, who joined the firm as an associate and left for a time to work at a private equity firm before coming back. Today, he's head of the firm. 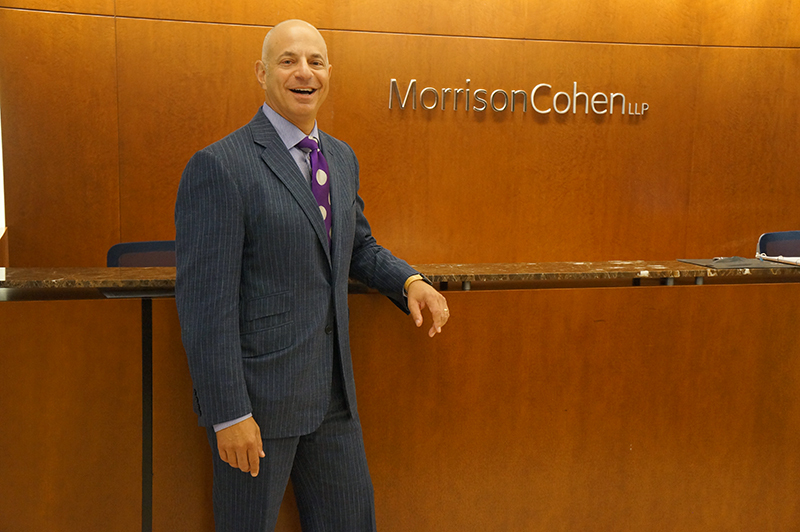 "I love my partners and had a lot of warm feelings for the place, but the reason that I really came back was that I thought Morrison Cohen had a greater advantage than all of the larger firms you and I can name," Scherl said. Midsize firms are also generally running leaner than their BigLaw peers, which keeps many fiscally conservative attorneys feeling safer about the future. "We may not spend as much money as other firms," said Kerstein, the partner from White and Williams. "But that cost consciousness helps us stay healthy and sustain bumps in the road." For Paul McGlocklin, a California-based senior associate with Atkinson Andelson Loya Ruud & Romo PLC, there is security in knowing that most of his firm's partners have been there for decades and have weathered several ups-and-downs in the legal industry cycle. He hopes to one day join their ranks. "If they will have me for 30 to 50 years," he said, "I'd be happy to be here." Natalie Rodriguez is a feature reporter who also wrote about our Satisfaction Survey data for this report. Follow her on Twitter. Editing by Jocelyn Allison, Jeremy Barker and Kelly Duncan. Methodology: Law360 surveyed attorneys on their job satisfaction and lifestyle, collecting responses through our website and newsletters. Over a six-week period, from March 23 to May 5, we collected more than 1,350 anonymous responses. While not a scientific survey, the responses provide a window into attorney finances, what their work-life balance looks like, how they feel about their career prospects, and what is stressing them out. In the graphics, all percentages are rounded to the nearest whole number. Update: This article has been updated to add more detail about how midsize firms are defined.